Jacklyn Hall in Somerset Virginia is a very original and rare example of a well documented pre-civil war home with amazing views of the Blue Ridge mountains and over 300 acres of rolling fields stretching in all directions. Many features remain untouched from its original construction in the early 1800’s. These classic homes offer a great opportunity to restore and expand to include all the features of the newer home while retaining the charm and romance of nearly 200 years of history. For this home, currently offered for sale by Gayle Harvey, a real estate professional in Charlottesville, we prepared measured drawings and researched the documents and archives to fully understand its potential. Whether a blended addition, new home design or historic home such as Jacklyn Hall, our goal is to create the feeling of timeless style that endures trends. Kitchen showrooms are going the way of pagers and video stores as the new trend in cabinet design is relying more on computer imaging. 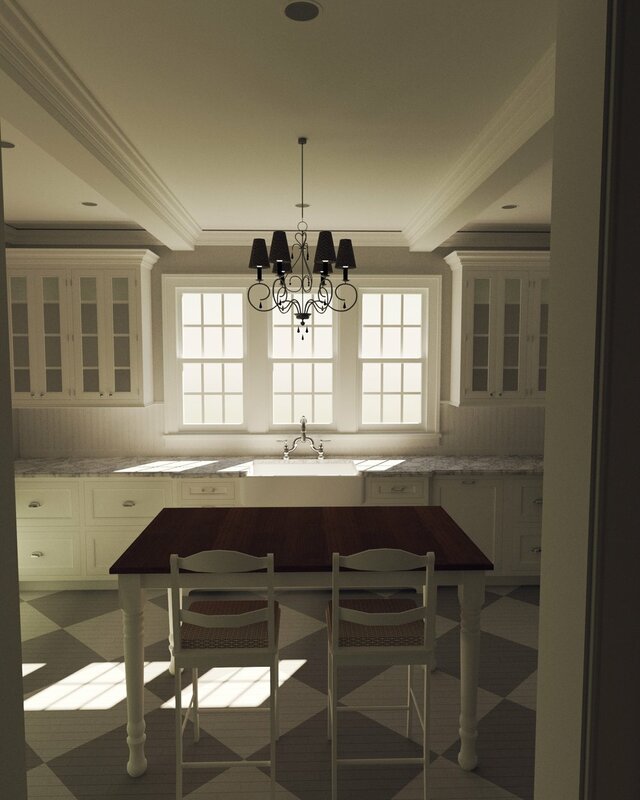 This recent project in Madison Virginia demonstrates how closely our models reflect the finished space and why the limited showroom displays cannot keep pace with the endless and evolving trends in kitchen design. We want to congratulate John and Melissa on the Grand Opening of the Maple Shop after an extensive restoration. Both the interior and exterior were designed to optimize their products and services. The finished store you see below is a great example of how architecture can strategically support, echo and elevate a business’s advertising. If you’re looking to remodel or customize your space, come to Main Street in Chester! Gas lighting is a subtle way to add romance to your home and is complimentary to a wide variety of architectural styles. The copper fixtures shown here have been hand made by Bevelo Lighting in New Orleans, LA, who offer both gas and electric versions of most designs. The gas fixtures provide a lower light level perfect for evening ambiance, but in situations where more light is needed, the electric fixtures can be the ideal balance. These details can be a surprisingly affordable way to make your home an even more special place. The wrap-around porch & outdoor shower were added to this lake front home in Mt. Arlington, New Jersey, just in time for the warm weather. Mudrooms are becoming popular spaces for many homes these days and built-in cabinetry can take them so much farther than a simple closet. Rods behind closed doors and extra drawers create more function and organization in less space. Good design hinges on blending traditional details with cost effectiveness. When designing projects, the selection of the materials is key to meeting clients' aesthetic tastes and budgets. Take this Mansion Reconstruction in Mendham, New Jersey: stone exterior columns were costly, and wood exterior columns presented issues such as high maintenance and shorter life span. We therefore elected a modern material - cast concrete - manufactured by Concrete Designs, Inc. The cast concrete provides all the benefits of stone columns at a much more reasonable cost, and its look matched the mansion's original structures (top). 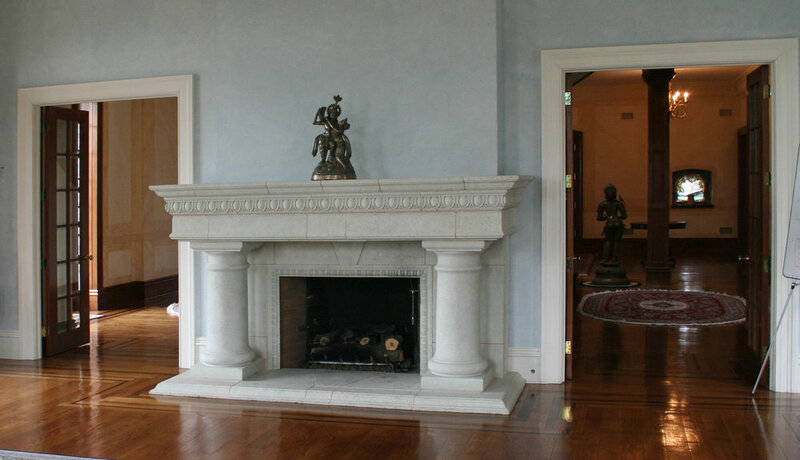 Cast concrete via Concrete Designs, Inc. was also used for the mantle in the music room (bottom). You can see how expertly it blends with the period pieces and original structures. This homeowner contacted us to add a garage and breezeway that leads to the family area. To do so, we copied the pitches of the front gables, and blended the material of the siding and roofing to match the original structure. 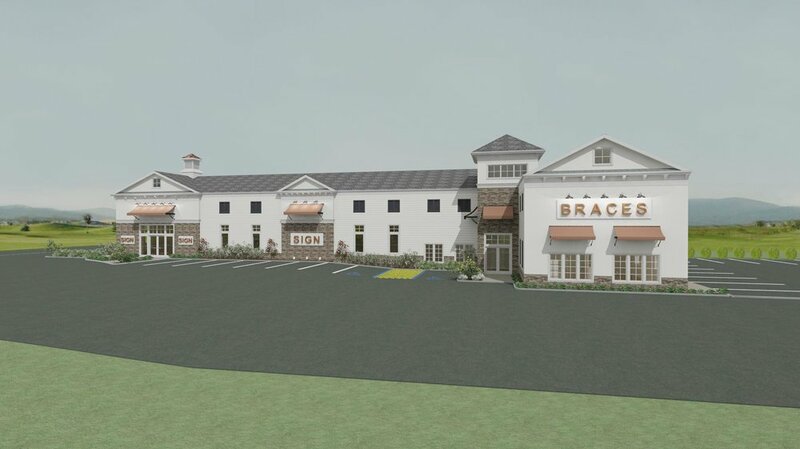 After modeling a two-car garage, it became clear that a one-car garage would both keep in scale with the home and the surrounding neighborhood. Green building is on everyone's list today, but efficiency in a home's performance is not the only way to build green. Enduring styles and elements taken from the past can really play a part in new homes and renovations, as they have in this New Old House in Central Virginia. 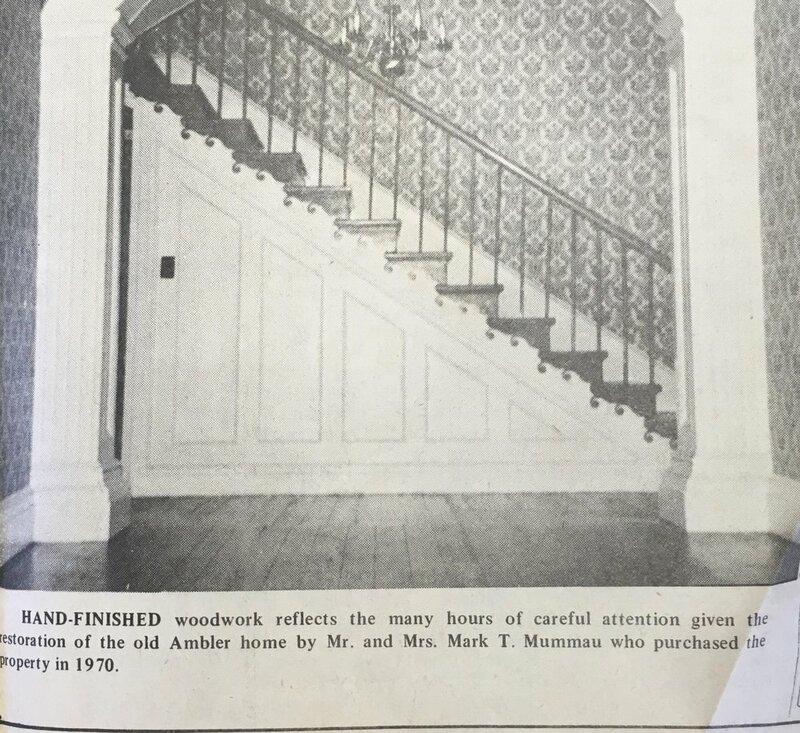 The newel post were removed from an original farmhouse and as is so often the case, the heights did not allow for railings which met today's building codes. To remedy this problem, the base of the posts were removed and replaced with matching profiles that were extended to allow for the new application. They were also stripped of years of paint and varnish at a furniture refinisher prior to installation, which will hold up for the next 100 years of their life.